Have you been searching for a compact SUV that is stylish, modern and easy to drive? If so, visit Cutter Mazda Waipahu in WAIPAHU, AL. 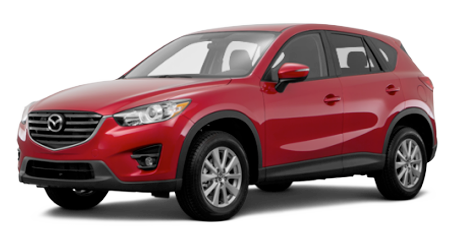 At our dealership, we're thrilled to carry the 2016 Mazda CX-5 in stock. Cutter Mazda Waipahu is one of Florida's Mazda dealerships and serves Honolulu, Waipahu, Kaneohe, Kapolei, and Pearl City proudly with an amazing selection of Mazdas. Come by Cutter Mazda Waipahu at 94-245 FARRINGTON HIGHWAY and experience the Mazda CX-5 to'day. The compact SUV segment has recently exploded with competitors, so let's see how the 2016 Mazda CX-5 does against the Honda CR-V. 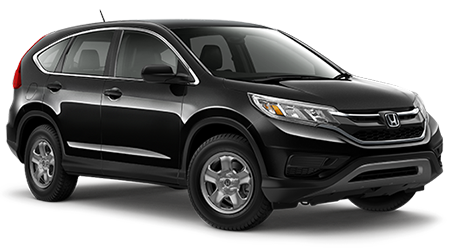 Compact SUVs have become some of the most loved and owned vehicles on the road. So it's no surprise to see prices for these vehicles on the rise. However, the Mazda CX-5 can save you money over the CR-V in the initial purchase. The Mazda CX-5 starts at $21,795, while the CR-V has a MSRP of $23,595. That's an initial savings of $1,800 in favor of the Mazda CX-5. While compact SUVS aren't known for their spacious interiors, the Mazda CX-5 has a large interior that will keep you comfortable in a variety of driving situations. The Mazda CX-5 possess more rear hip room, front hip room, rear legroom and rear headroom than the CR-V. With the Mazda CX-5's spacious interior, you will be able to drive the vehicle on a routine basis in comfort. After test driving the Mazda CX-5 at Cutter Mazda Waipahu, we're sure you will want to drive the vehicle on a regular basis. To give you the peace of mind to enjoy driving the SUV, Mazda backs the car with an extensive warranty. The Mazda CX-5 comes with a 3-yr./36,000-mile bumper-to-bumper limited warranty and a 3-yr./36,000-mile 24/7 Roadside Assistance Program, as well as a 5-yr./60,000-mile limited powertrain warranty. When it comes to getting into a compact SUV that you can enjoy driving everyday, the 2016 Mazda CX-5 is a great choice. When comparing the Mazda CX-5 against the Honda CR-V, the Mazda has the upper hand with its spacious interior and more affordable price tag. Visit Cutter Mazda Waipahu in WAIPAHU, AL at 94-245 FARRINGTON HIGHWAY and discover the new Mazda CX-5 today.